Tell us on social media about a part of your heritage that you will pass on to the next generation? 1.1. The Afternoon Express Ninevites Rug Competition (Competition) will be run by Cardova Trading (Pty) Ltd in association with The Ninevites (Organisers/we/us/our). Entries for the Competition will open at 17h00 on Tuesday, 4 October 2016 and will close at 18h00 on Friday, 7 October 2016 (Competition Period). 4.1. 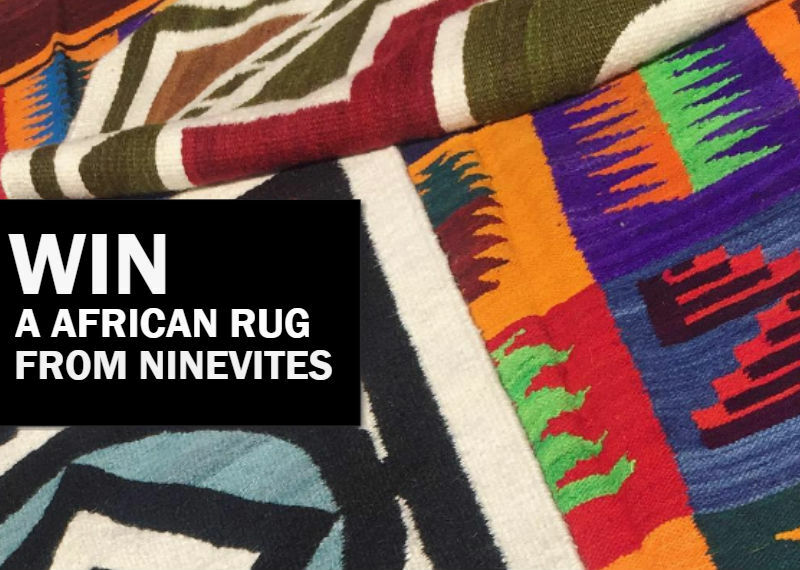 Reply to The Ninevites Rug competition post that is posted on the Afternoon Express Facebook page during the Competition Period and tell us about a part of your heritage that you will pass onto the next generation. 5.1. A panel of judges, who are appointed by us, will select 1 (one) person (Selected Entrant) from all valid entries as winner of the Prize by 12h00 on Tuesday, 11 October 2016, subject to clauses 5.2 and 7.3. The Selected Entrant will be the entrant who are determined in the sole and unfettered discretion of the judges as the entrant who submitted the most inspiring and/or entertaining motivation in his/her entry. 5.2. We will notify the Selected Entrant by commenting on the Selected Entrant's entry post between 12h00 and 18h00 on 11 October 2016 to request a copy of his/her identification document in order to validate his/her entry and to request further contact details. The Selected Entrant shall be required to provide an electronic copy of his/her identification document by 16h00 on 14 October 2016, failing which the Selected Entrant will be disqualified. 5.3. If a Selected Entrant does not reply to the notification message sent by us by 18h00 on 11 October 2016, that Selected Entrant will be disqualified. In the event of a disqualification as contemplated herein, we shall have the right to select a different entrant on the same conditions except that such a Selected Entrant has to reply to our notification within 2 (two) days of it being submitted by us. 5.4. The Selected Entrant, who's entry has been validated (Winner), will be contacted by us by 17h00 on 14 October 2016. 6.3. We will contact the Winner to receive all necessary information to deliver the Prize and the Prize shall be delivered to the Winner at an address within the Republic of South Africa within 5 (five) weeks from confirmation of the Winner.